David Luiz will become the most expensive defender in the world when his £40m transfer from Chelsea to PSG is completed. Luiz is still to agree personal terms and pass a medical but PSG has sent their doctors to Brazil where he is preparing for the World Cup. Luiz didn’t hold down a regular first team spot under Jose Mourinho, starting only 29 matches this season in all competitions. Chelsea fared marginally better when he wasn’t in the line up with the club’s win percentage of 64% without as opposed to 59% when he did play. The clean sheet percentage was 57% when Luiz was dropped compared to 45% when selected. The Brazilian had three years left on the five-year contract he signed at Stamford Bridge in September 2012. 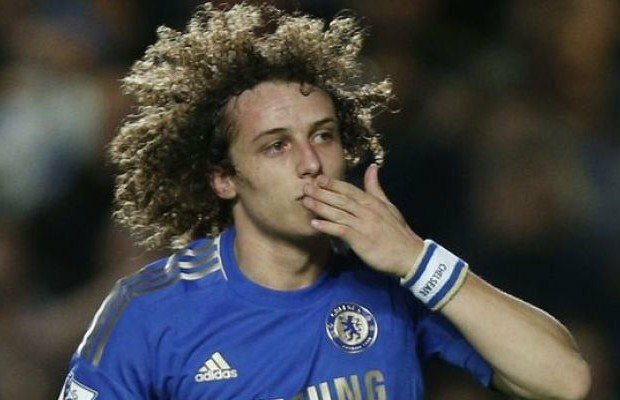 Luiz has thanked his Chelsea teammates and the supporters for the three and half years he has spent at Stamford Bridge. Over the last two seasons, Luiz had been the subject of a proposed move to Barcelona. But despite PSG’s failing UEFA’s financial fair play (FFP) rules, the club has won the race to sign the Brazilian, one which concluded in a transfer record for securing the service of a defender. Chelsea will now try to lure young Real Madrid centre-half Raphaël Varane to replace David Luiz at Stamford Bridge, Chelsea manager Jose Mourinho knows Varane from his time at Spanish giants Real Madrid and the defender has found his chances limited since Mourinho left. The French international, 21, played regularly under Mourinho, but his chances were hampered by an injury to his right knee. A great player for Chelsea, will need a big player to replace him. Scored some great goals for the club!